Linfield will play a prestigious friendly against Rangers at Windsor Park, Belfast, on Saturday 3rd September with a 1.00pm kick-off, the official Linfield website has announced. 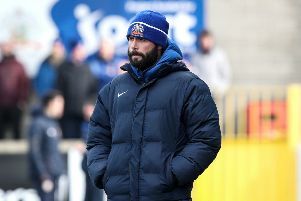 The game will be played as a testimonial for long-serving Linfield midfielder Jamie Mulgrew and the club are indebted to Rangers for agreeing to participate in this game during the international break. Linfield’s scheduled Premier League game against Cliftonville at Solitude will be rearranged for a later date. Tickets for this eagerly anticipated game are priced at £15 Adults and £10 Concession. These will be available online from Ticketmaster (www.ticketmaster.co.uk) and from all usual Ticketmaster outlets. South Stand tickets will also be on sale from the Linfield Superstore at Windsor Park. Ticket sales will commence from 10:00 am on Thursday 18th August. Linfield fans will be accommodated in the South Stand at Windsor Park with Rangers fans in the North Stand (Upper and Lower). Railway Stand tickets will also be made available subject to demand. A pre-match Corporate Lunch function is being arranged and tickets will be available priced at £45.00. This will include entrance to the game, pre-match lunch from 12:00 noon, a Corporate Seat in the South Stand and pre and post match bar facilities. Corporate tickets can be reserved by contacting Ivan Ogborn on 07801676202.